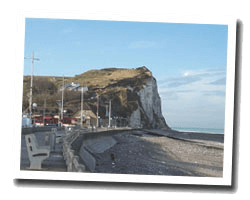 Called "Pearl of the Caux country" Veulettes-sur-Mer is famous for its beach, the longest in the Seine-Maritime. At the seaside you can see cliffs similar to those of Etretat in the protected environment of the mouth of the Durdent river. You also can see beautiful Belle Epoque villas and a beautiful church built in the twelfth century. 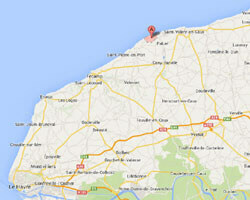 In Veulettes-sur-Mer enjoy a seaview holiday rental.